We are pleased to announce the availability of Res-Net’s new RNCA2 series of chip attenuators. These attenuators are designed to operate from DC-12.4GHz and can dissipate 2W of average (CW) power. The RNCA2 series attenuators are available from 0 to 20dB values. The RNCA2 series is a direct replacement for RF Labs/EMC Technology TS03 series chip attenuators. The new RNCA2 series is available in both commercial and hi-rel versions. The new RNCA2-Series-Data-Sheet is now available for download. To learn more about the Res-Net Microwave products available from Electronic Components Pty Ltd, visit the RF & Microwave Res-Net Products page on our website. To order or enquire about Res-Net products Contact Us , or Email Us. We will be pleased to discuss your Res-Net product requirements. Expert Sourcing –Any Part, Any BOM, Now. 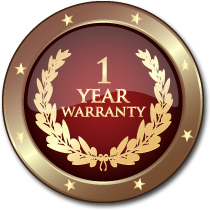 1 Year Warranty –industry leading commitment. Flexibility – One Stop Solution customised for you. in New Zealand, Asia &The Pacific.